Sarah Richardson is an award-winning designer, known around the world for jaw-dropping transformations that turn ordinary spaces into magazine-worthy rooms with an incredible wow factor. 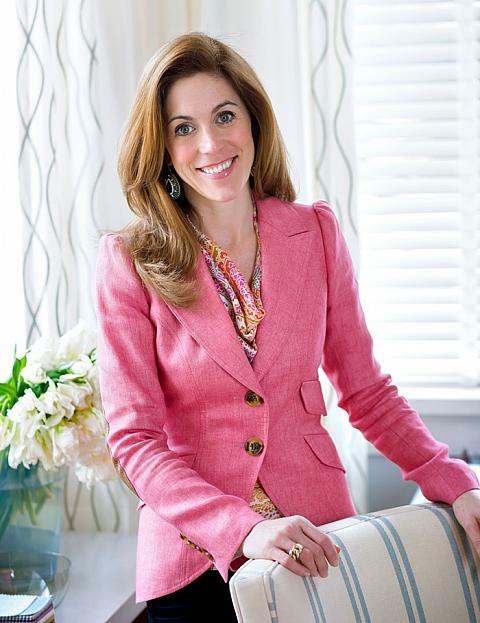 Admired for her upbeat and easygoing approach to creating elegant and timelessly classic rooms, Sarah inspires and empowers by effortlessly showcasing her winning style formula of mixing luxury with get-it-for-less savvy and balancing the save/splurge quotient of every decorating adventure. Sarah's enthusiasm for all aspects of design is infectious, but Sarah is not your average TV decorator; her keen understanding of the fundamentals of top quality design compliment razor-sharp instincts in all matters of taste and style. She's not afraid to tread the line between glamour and grit, and has been known to spend the morning shopping in stilettos for fine furnishings, and the afternoon masterfully handling power tools on a job site to push the room and homeowner experience over the top. Housefabric.com carries Sarah Richardson fabrics, which are perfect for draperies, bedding, pillows, and upholstery.